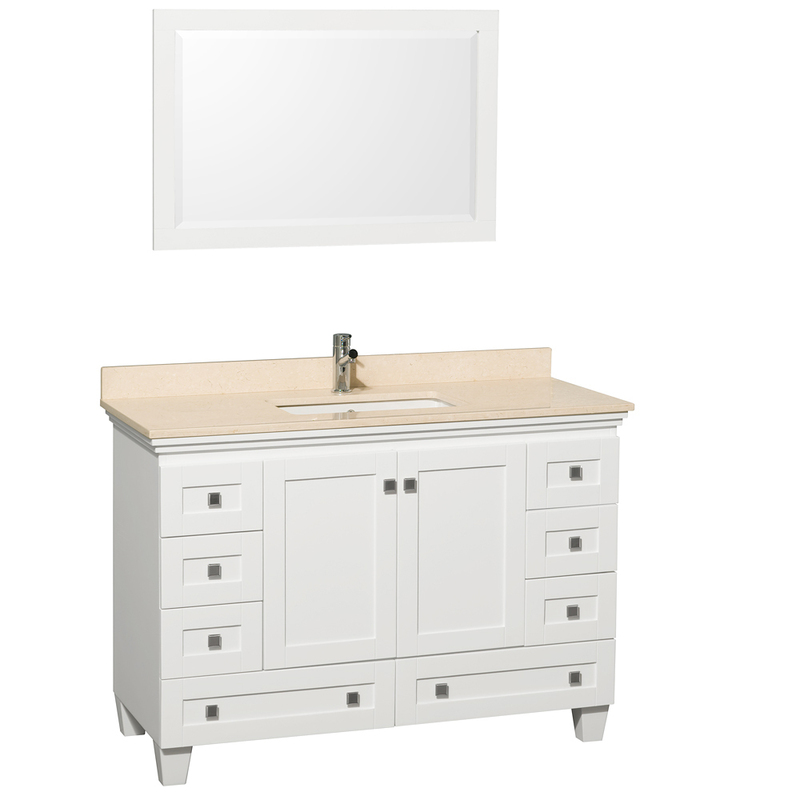 The 48" Acclaim Single Vanity features a beautiful White finished cabinet made of solid oak, this vanity boasts a central, double-door cabinet that's accompanied by six small drawers and two larger drawers. 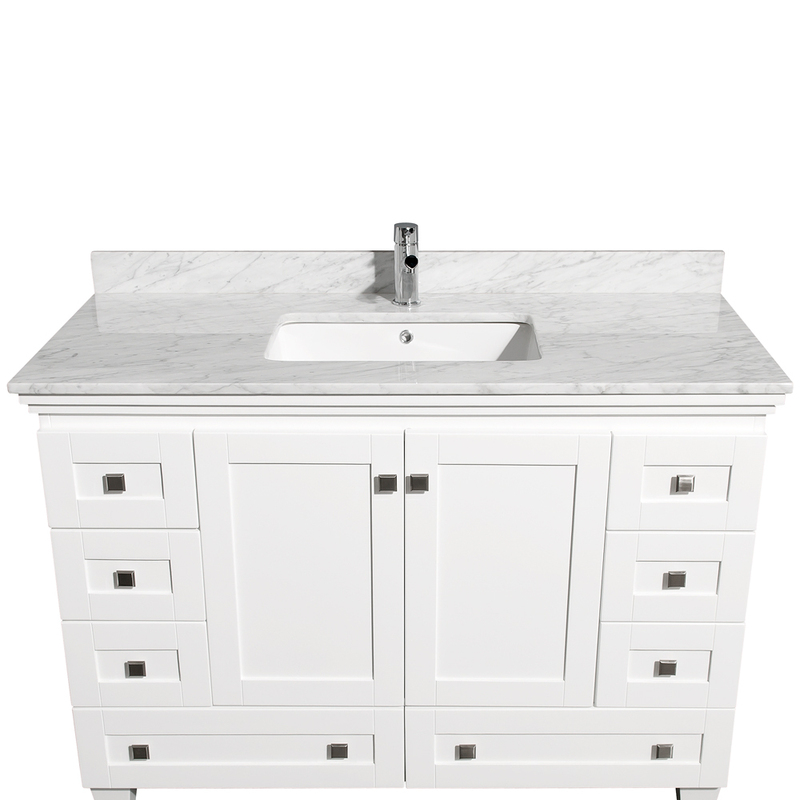 Each small drawer and cabinet door is adorned with a Brushed Chrome knob, while the two larger drawers have two. 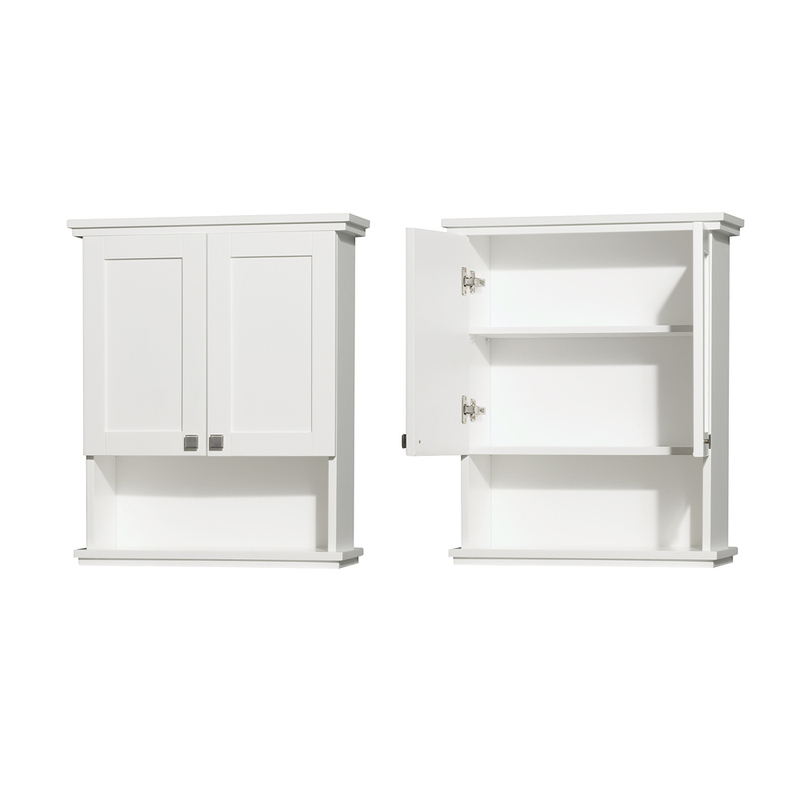 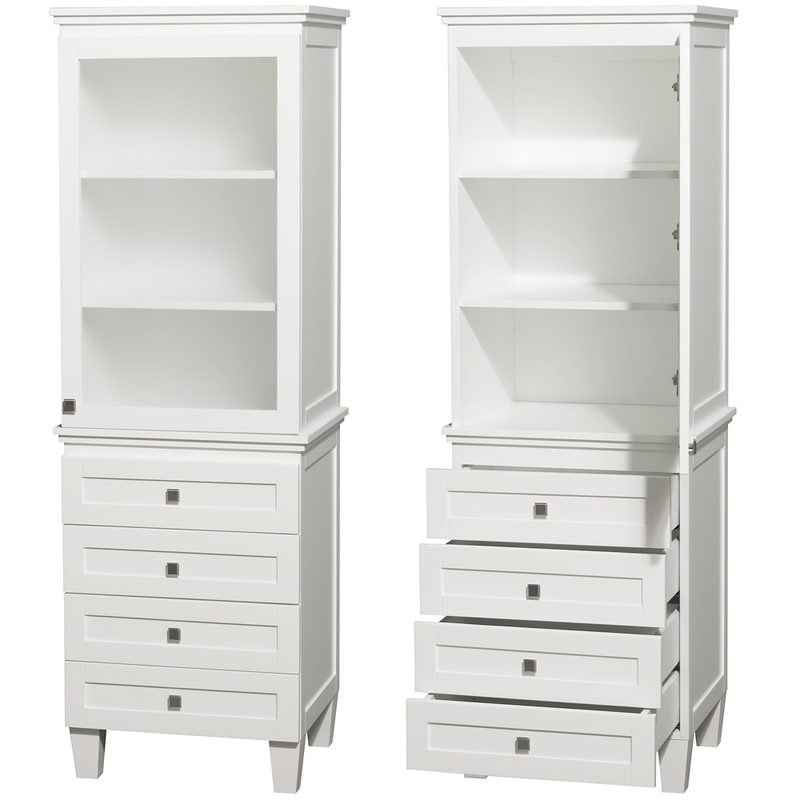 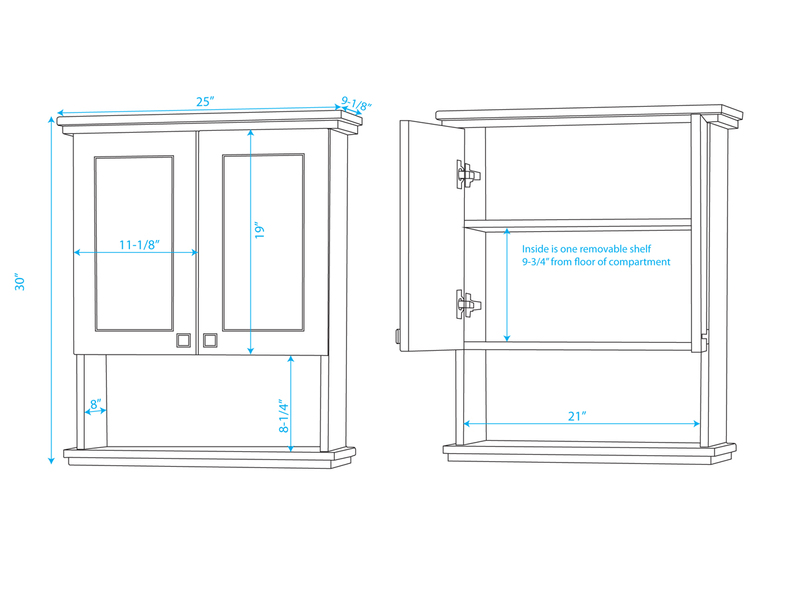 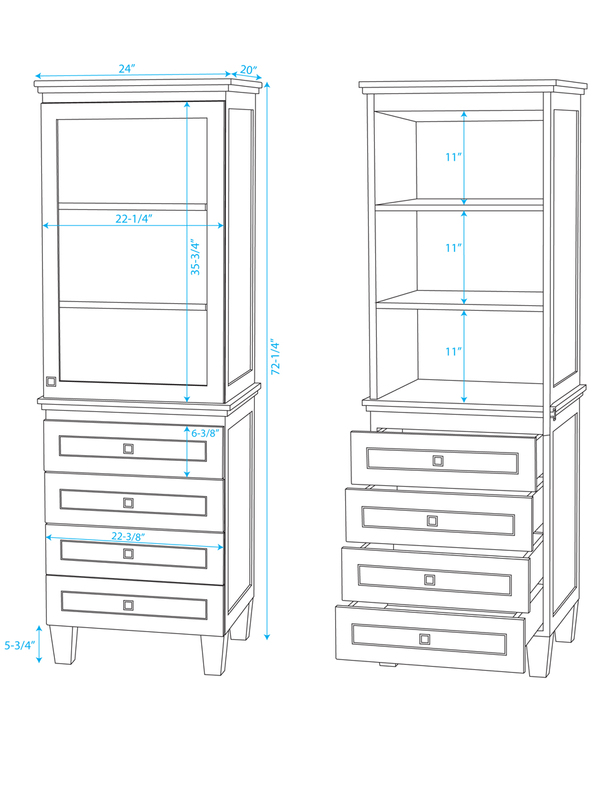 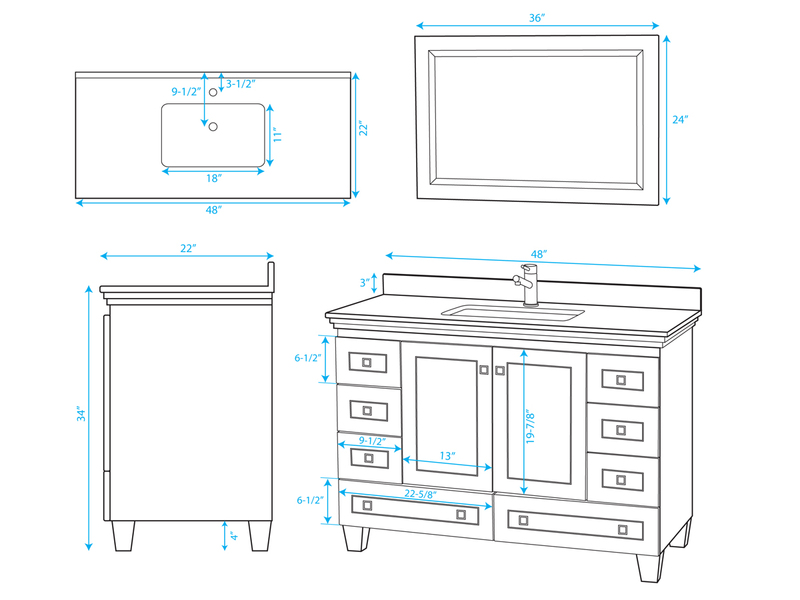 Each drawer and cabinet door is also equipped with soft-closing slides and hinges for added durability. 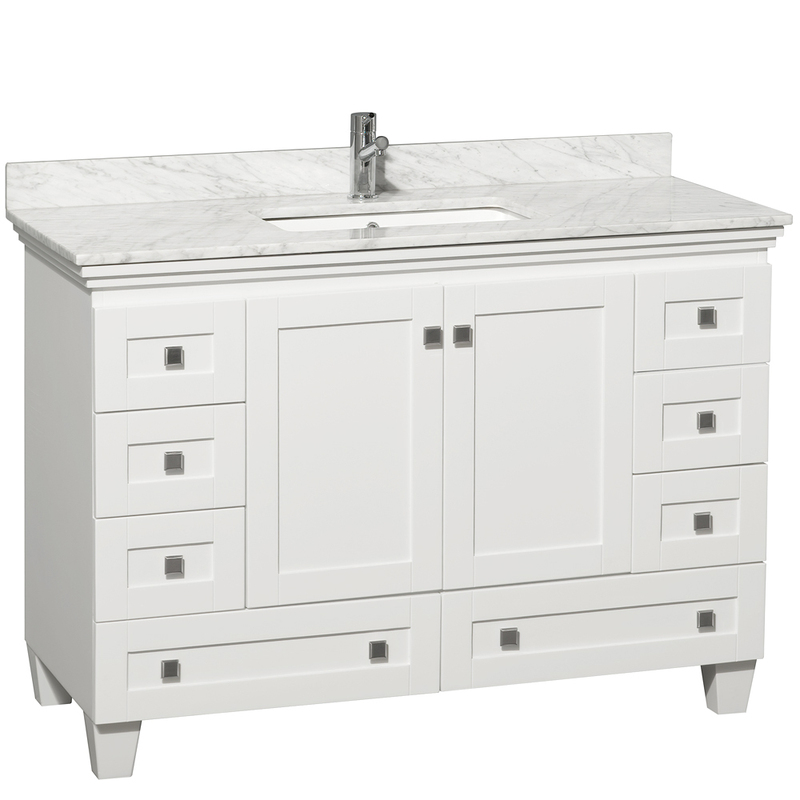 You can choose from an Ivory or Carrera White marble top. 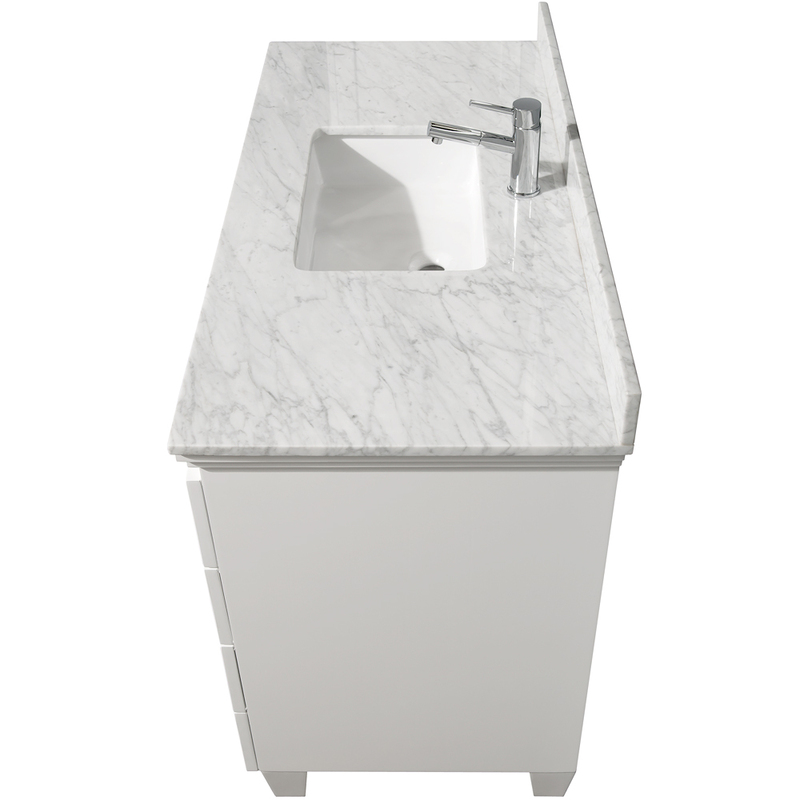 The sink is rectangular cut and is made of white porcelain. 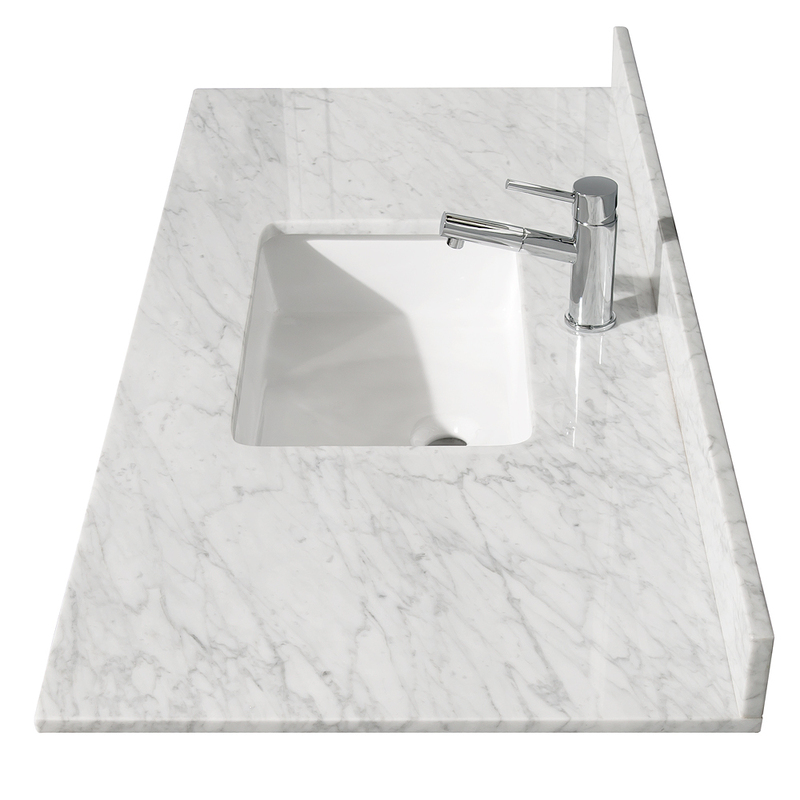 The top is also pre-drilled with a single faucet hole. 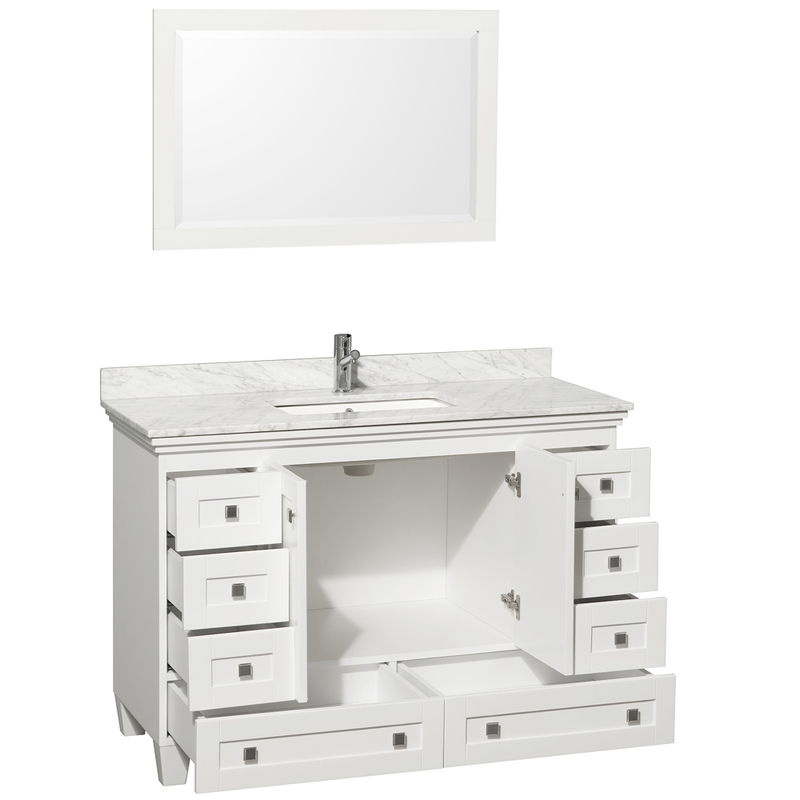 The Acclaim also comes with a matching mirror!